The video of a mother removing a black jacket of her crying three-year-old child on the instructions of security personnel before entering Chief Minister Sarbananda Sonowal's function in Biswanath district on Tuesday morning has drawn sharp criticism from the public, prompting the CM to order a police inquiry into the episode. The video has gone viral on social media and has also been aired by local TV news channels in Assam. The Citizenship Amendment Bill has triggered widespread protests in Assam. Mr Sonowal is witnessing hostile reactions from citizens over the controversial legislation piloted by the BJP at the Centre. "My three-year-old child was wearing a black coloured jacket. The security personnel didn't allow him to enter the meeting venue in it. The security personnel asked me to remove the black jacket", the mother of the child is heard saying in the video to journalists, who asked her the cause for removing the jacket of her child, leaving him with a cotton shirt in the chilly morning. "There is a phobia among the police personnel against the colour black. They even forced a child to remove his black jacket exposing him to cold fearing the black garment may be a sign of protest," locals said, referring to the black flags being shown to the chief minister, ministers and senior BJP leaders in the last few weeks amid the ongoing protests against the controversial Citizenship Bill. Many adult male visitors at the chief minister's programme to lay foundation stone for an Eri spun silk mill are also seen in the video removing their black jackets and woolen pullovers. They are heard saying, "The security personnel will bar us from entering the meeting venue if we do not remove our black clothes". 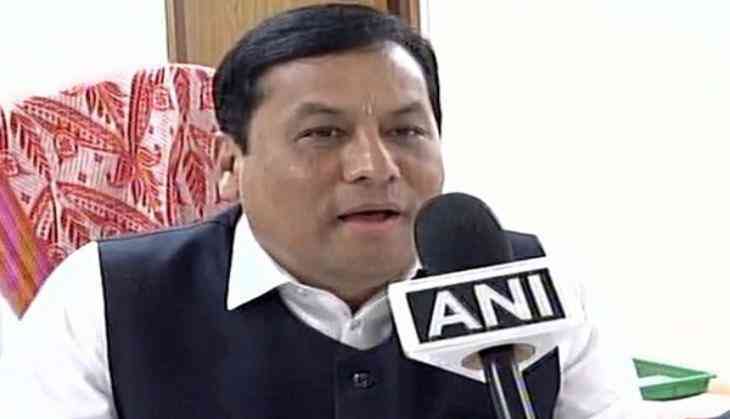 Mr Sonowal has directed Assam Director General of Police to investigate the incident of the child being forced by security personnel to remove his black jacket and submit his report at the earliest, said a government release. During Republic Day celebrations on Saturday security personnel vigorously frisked the public to prevent any of them from carrying any black clothes to the official functions attended by ministers across Assam. At the central Republic Day function in Guwahati, security personnel from Assam Police politely asked each and every one if they were carrying black handkerchiefs. "We have been asked to check if anyone carries any black clothes. They are not allowed to carry any black items inside the ground," an Assam Police Constable had told PTI, showing a pile of black clothes, handkerchiefs, mufflers, shawls and head bands near him, which were confiscated from the public. Protests broke out across the state and other parts of the North East after Prime Minister Narendra Modi announced in Silchar on January 4 that the contentious bill would be passed as soon as possible in Parliament. The Citizenship (Amendment) Bill passed by the Lok Sabha on January 8 seeks to provide Indian citizenship to Hindus, Jains, Christians, Sikhs, Buddhists and Parsis from Bangladesh, Pakistan and Afghanistan after six years of residence in India even if they do not possess any identity documents.